What's in the sample download PDF? 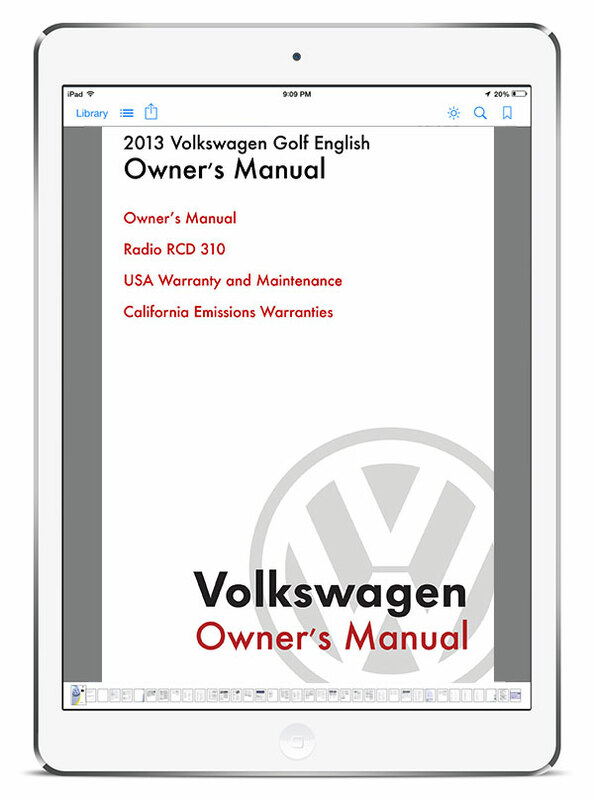 Volkswagen owner manuals include multiple booklets that cover different areas of your vehicle. This sample PDF includes all of the booklet covers AND table of contents for each so you'll know exactly what's contained in the full manual download. The sample manuals are around 1 to 3 MB in size. Didn't get the owner's manual you wanted or expected? No Problem. Just contact us and we'll send you a refund, no fees, no questions asked. After checkout, you'll get an download link email to the address you provide on the Checkout page. If you don't receive the email, check this FAQ, and then contact us. All of the text scanned from the original manual has been OCR'd (optical character recognition). Meaning that it can be searched, selected, copied and pasted. Each manual PDF starts with a linked Table of Contents page. The links will take you to the individual booklets that make up the manual. The PDF you download can be placed onto any mobile device, iPhone, iPad, Android Phone or Tablet for viewing on the go. We're working on a guide for each device on how to transfer the file.